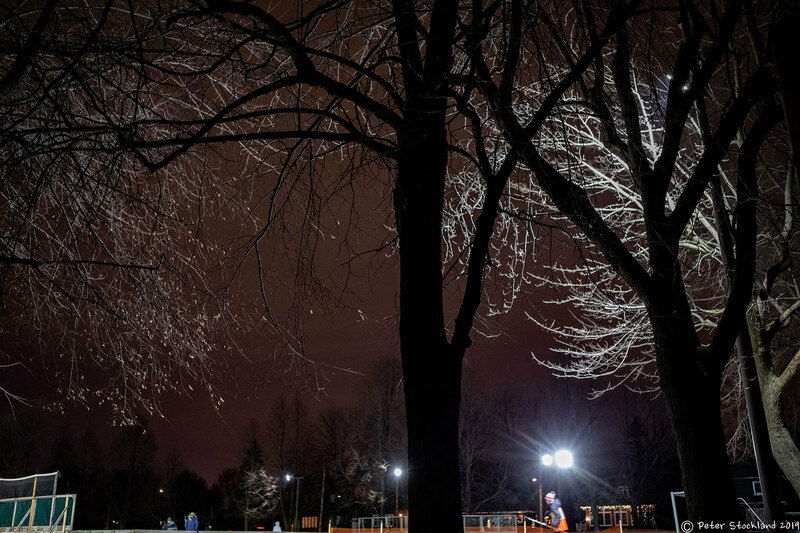 Even the trees shine for the tiny players skating their heart out below. "They shoot; they score!" the self-appointed announcer shrieks from the sidelines. Is this what David meant in Psalm 96? Are these ice coated branches evidence of letting "the earth be glad?" Another cheer from below, the trees sway again their light an applause all of its own. "Rejoice. I will say it again; rejoice."